Rent apartment from £26 per night low season. Mid season £55 per night. PANORAMIC SEAVIEWS THROUGH OUT 2 STOREY SPACIOUS OLD STYLE DUPLEX APARTMENT. FULLY EQUIPPED TO A VERY HIGH STANDARD TO MAKE YOUR HOLIDAY AS COMFORTABLE AS POSSIBLE. 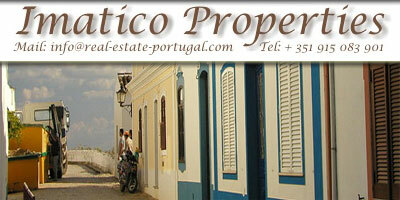 DUE TO THE WONDERFUL ALGARVE WEATHER WE RENT THROUGHOUT THE YEAR. A SMALL PEACEFUL COMPLEX WITH POOL+ CHILDRENS POOL BAR/SNACKBAR GARDENS ALL ON SITE. ALL AMENITIES CLOSE BY. CAR NOT ESSENTIAL. BUT THIS IS AN IDEAL BASE FOR TOURING THE WESTERN ALGARVE. Within the complex there is a large pool and children’s pool with showers and toilets. Lovely gardens with plenty of sun lounger,s a very smart bar/snack bar, tennis court set up for football. All well fenced and secure and 2 private car parks. Further details You have all you need in Praia da Luz Great restaurants,Supermarkets,shops, fabulous beach with water sports, pubs and nightclubs. On a larger scale Historic Lagos is just a 10 min drive away or short bus ride. This is an ideal location to tour the west coast with historic towns to visit beautiful lakes and breath taking scenery. We are less than 10 mins drive from 2 top golf courses. You could never get bored !! Beach, Biking, Boating, Children’s Playground, Cinema, Fishing, Golf, Gym, Hiking, Walking along fabulous clifftop paths. Horse Riding, Night Club Sailing, Shopping, Tennis, Water-Skiing, Water Sports and Rental, Zoo/Wildlife Park 10 mins walk to the beautiful sandy Luz beach offering safe bathing and many water sports plus children’s club with introduction to water sports. They also offer a trip to view wild dolphins which come right up to the boat. Fabulous beach bars and restaurants. Swimming off rocks 8 mins walk very peaceful. Many beautiful quite beach's a short drive away some offer surfboard and body board hire and instruction. Also there is a zoo marine park 2 water parks. 25% of rental fee due on reservation & full balance payable eight weeks before departure. Refundable breakages deposit of £100 payable with full balance, to be refunded within two weeks of your departure (subject to satisfactory property inspection). Shorter breaks available on request (subject to minimum stay of 2 nights. Rental prices are for upto 4 persons add additional £20 per week or £3 per night per additional person. SMOKING IS ONLY PERMITTED ON THE BACONIES (There are covered areas) PLEASE BRING BEACH POOL TOWELS. Pool area/bar closed 1 November - 31 March.